Dog bite attacks can be scarring and traumatic events which often result in serious, disfiguring facial injuries. 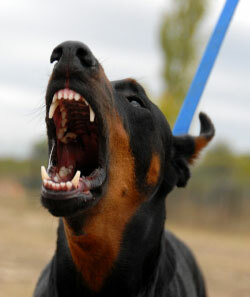 While an aggressive dog can attack people of all ages, most dog bite victims are children under the age of nine. This is most likely due to the fact that children are less familiar with the behaviors of different dog breeds, are smaller in stature, and are less capable of defending themselves. Fortunately, California law requires dog owners to take the proper precautions to ensure their pet does not attack or injure others. When a dog owner fails to fulfill this duty, the injured victim may be entitled to receive compensation for damages associated with the dog bite attack. 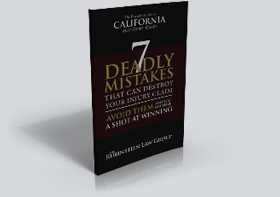 It is important to have an experienced dog bite attorney in Carlsbad on your side who can make sure your rights are protected. Oceanside personal injury lawyer Zev Rubinstein has 25 years of experience handling dog bite claims in the Carlsbad, San Marcos, and Oceanside areas. If you or a loved one has been injured in a dog bite attack, Mr. Rubinstein will fight aggressively to hold the negligent owner accountable for your damages. Please call 866-771-7181 today to schedule your free consultation with our dog bite lawyer in Oceanside. California adheres to strict liability laws for dog bite attacks. Unlike many types of personal injury, a dog owner is responsible whether or not he or she had any reason to believe the dog was dangerous. A dog owner has a responsibility to be constantly in control of the animal, and always vigilant of the animal’s behavior to prevent injury. If you or a loved one has been bitten or attacked by a dog, the Carlsbad personal injury attorneys at the Rubinstein Law Group will help you through this difficult time. We will assemble a team of highly trained experts to investigate your injury and build a strong case on your behalf. Mr. Rubinstein has developed a strong track record of success, helping many of his clients earn lucrative verdicts and settlements. This experience will give you the edge you need when seeking to maximize the value of your compensation. Please contact The Rubinstein Law Group today to schedule your free dog bite consultation. Our Oceanside dog bite lawyer serves clients in San Marcos, Carlsbad, Oceanside, Vista, and Escondido, California.